From Australia's favourite storyteller with new novel Arcadia out now. 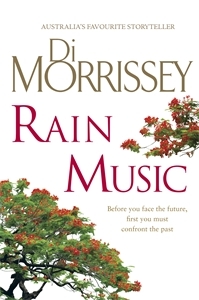 Rain Music is inspired by Di Morrissey's adventures in Far North Queensland - its characters, its forgotten history, its modern dilemmas. Brother and sister Ned and Bella Chisholm are struggling with a family tragedy that has set them on opposite paths. After taking off to pursue his musical dreams in Far North Queensland, Ned disappears. When Bella goes in search of him, she finds herself in remote Cooktown, the isolated, little-known gem of the far north of Australia, and a place where both Ned and Bella's lives will be dramatically changed forever. One story through two sets of eyes.